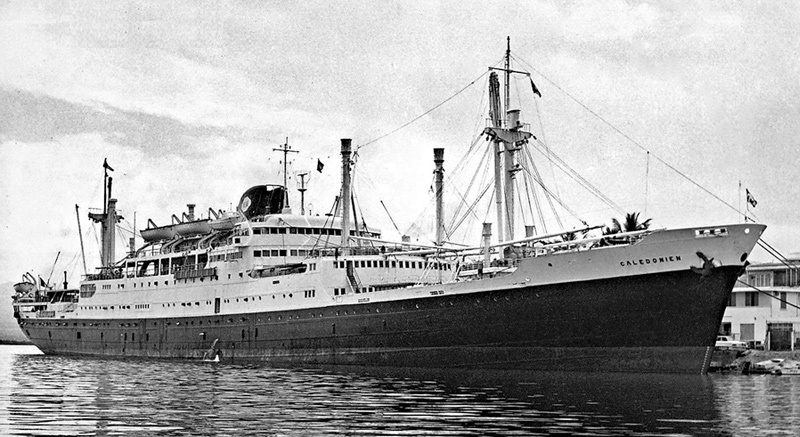 Legendary ocean liners: The Calédonien, 1952-1977. 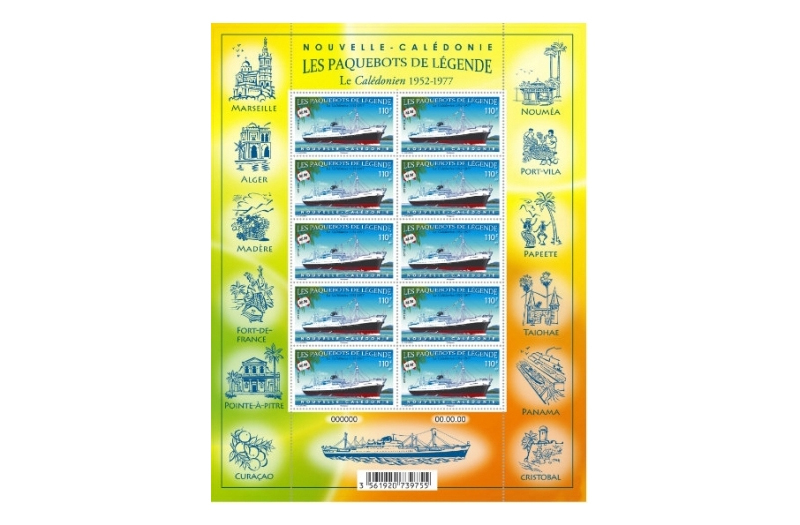 With this first issue of a new stamp series dedicated to legendary ocean liners, OPT-NC offers you a glimpse into New Caledonia's maritime heritage. 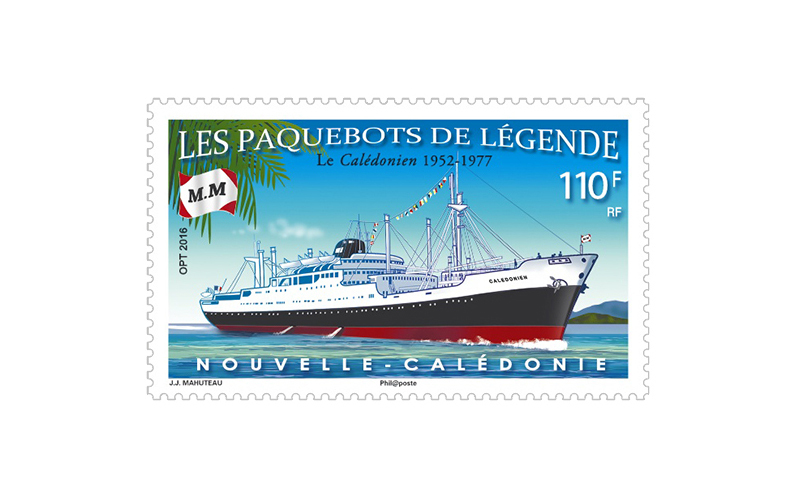 This new 110 XPF stamp, designed by Jean-Jacques Mahuteau, shows the Calédonien, the famous Messageries Maritimes passenger-cargo liner which, from 1952 to 1971, sailed the Oceania Marseille-Sydney route via Panama. 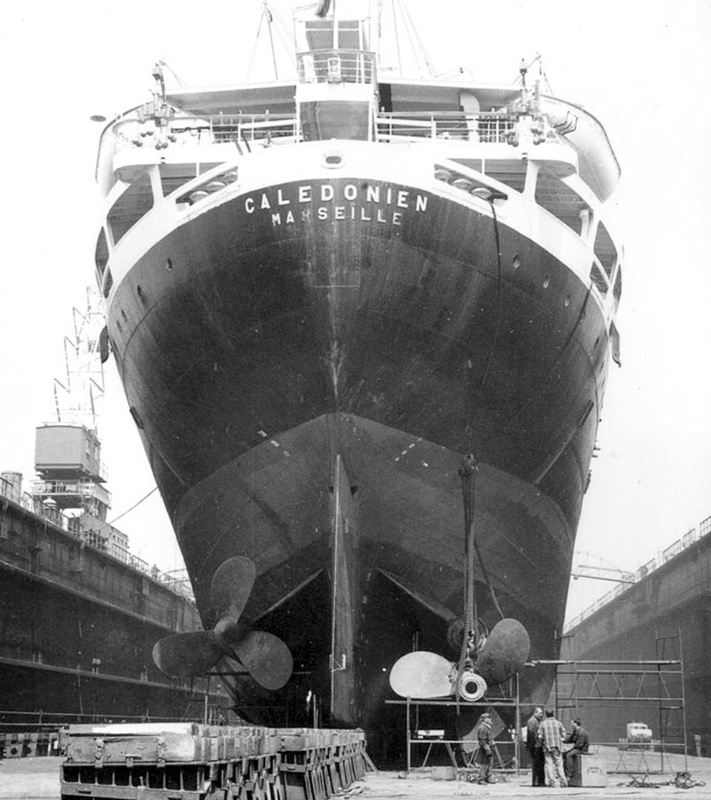 Built in Dunkirk by Ateliers et Chantiers de France, this handsome liner, with a length of 167.32 m and a beam of 20.6 m, set out on her maiden voyage from Marseille on 1st October 1952, carrying 196 passengers and 3,650 tonnes of freight. After docking at Algiers, Madeira, Fort-de-France, Pointe-à-Pitre, Curacao, Cristobal, Panama, Taiohae, Papeete and Port Vila, the Calédonien reached Noumea on 11 November 1952, bringing a stylish touch to the Armistice Day celebrations, then continued on her route towards Sydney. 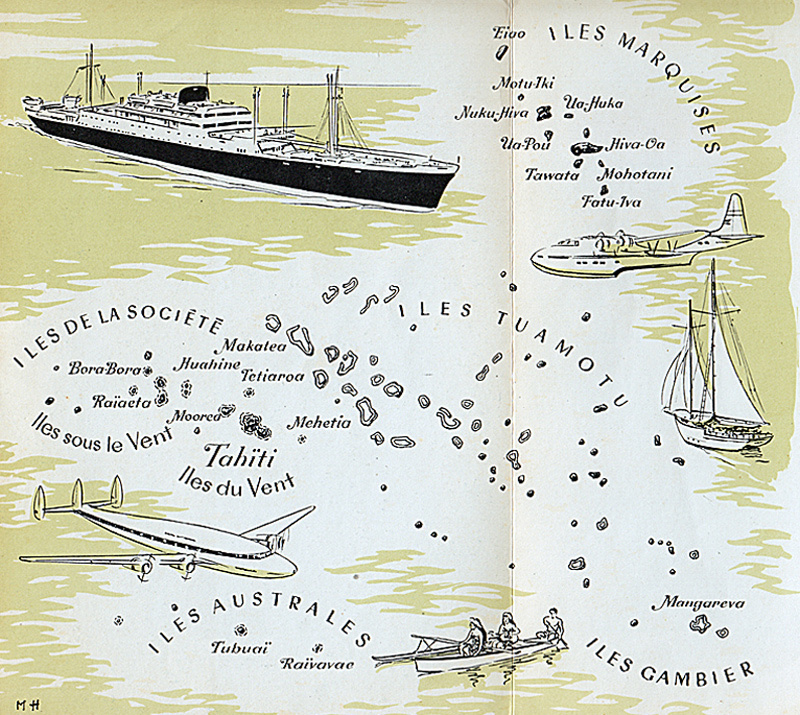 The liner, designed to carry 71 passengers in 1st class, 84 in tourist class, 86 in 3rd class and 122 steerage passengers, also had the distinction of carrying General de Gaulle and his wife from Fort-de-France to Noumea in 1956. Right up to September 1971, the date of her last voyage, the Calédonien completed all her voyages without any major mishap. She was retired in 1972 and sold to a Greek shipowner. The liner was renamed Nisos Kypros, before being registered under the Cypriot flag and given the name Island of Cyprus. Sadly, after twenty-five years of faithful service, this beautiful ship was broken up in Greece in 1977.